I question why Rayman Classic (Free) had to be brought back from the depths of 1994. The proper context to play Rayman is when you have literally nothing else to play. Say, if you bought an Atari Jaguar; man cannot live on Tempest 2000 alone. And if you bought a Game Boy Advance, Rayman Advance was one of the launch titles, a welcome respite from Super Mario Advance. But the thing is that Rayman was always a frustrating and difficult game. And we live in a universe where there’s limitless games, and several great games starring Rayman to play besides this. Rayman is only worth it as a history lesson. 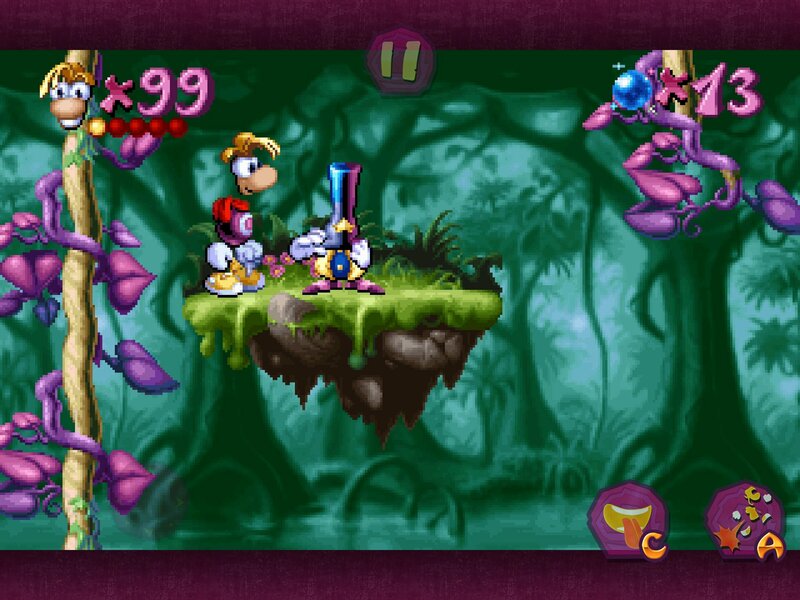 Rayman Classic is of course a 2D platformer, a port of the original Rayman game from 1994. This appears to be a port of the PC version of the game to iOS. It stars the limbless, eponymous protagonist that has become one of Ubisoft’s most iconic characters. And there is an Assassin Ray, so yes, Rayman has met Assassin’s Creed. Though now I also want an Assassin’s Creed game with Rayman for no particular reason other than “that seems like an idea." This is one of the first games that plunged Ubisoft and Michel Ancel into prominence thanks to its gorgeous visuals and Red Book audio that made it a fit for the CD era of gaming. It also was kind of a brutal challenge, and still is. Levels have blind leaps of faith, difficult sections with spread-out checkpoints, and difficult boss fights to tackle with limited health, lives, and even continues. 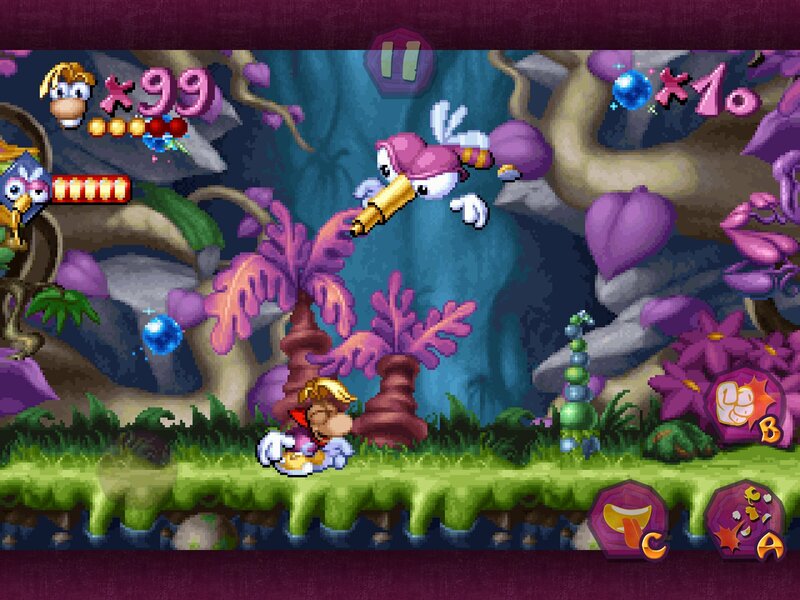 Rayman’s fists are a useful weapon, and the limbless nature of the fist makes it act as a boomerang, able to hit enemies on the backswing. Yet, the game often throws small height differences to make it tough to hit certain enemies. The reasons for that amount to “screw you, player." You have health, but sections with enemies that can knock you into instadeath are frequent. And the long distances between checkpoints in levels is a severe annoyance. Plus, the levels are way too long, with many jarring contrasts between the different sections. If these sections were split into individual levels, the game would feel more fair and fun. This is all brutal if you’re playing on Normal or Hard with limited lives and continues. Easy mode is a welcome respite, offering unlimited lives and 5 health points, but it takes away any of the danger. And just trying to do relentless progress is kind of disinteresting in this game. It’s the context of the game having once been about having a limited number of chances. Take that away, and you just get a frustrating game where the reward is now minimal. But that’s the price you pay in order to play the game in all practicality. Rayman has not aged well with 2016 standards. Speaking of 2016 standards, Rayman‘s graphics hold up pretty well, though they do look a bit aged. This game suffers from the move to high-resolution and LCD displays from low-resolution and CRT displays. 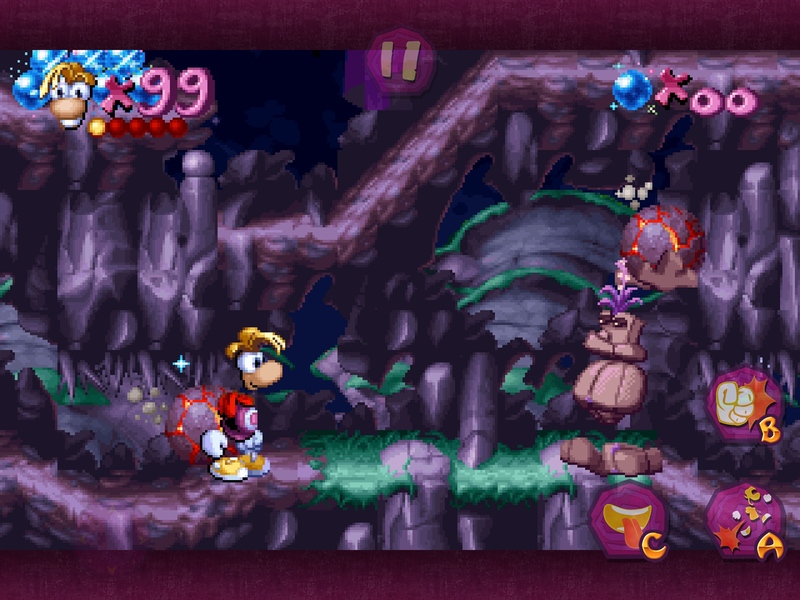 CRT blurriness, tiny screens, and small resolutions gave a nice, smooth look to Rayman back in the day. In 2016, the pixels have a jagged look to them. And because the game has a higher amount of detail than 8-bit and earlier games, it looks flawed on HD LCDs instead of endearingly chunky. Smoothing filter options would have been a welcome addition to help the game look like moving painting it once resembled. So, a fantastic-looking game winds up looking old in modern times. It’s not ugly, just that the wrinkles are visible. One odd thing about the mobile port at launch is that there’s periods where the game will slow down to about half-speed. Sometimes dying fixes this, sometimes you have to quit the level and play it again. This game is difficult enough as it is without worrying about this bug! One of the refrains I saw as Rayman Classic was being teased for mobile was the question of how the controls would work. Well, the virtual joystick is subobtimal compared to physical controls, but still decent. Quick and precise left/right movements are a bit tricky to pull off. And I’d rather the placement of the buttons be configurable. Having the punch button be above the jump button on the right side of the screen feels weird to me. The virtual buttons are responsive, and the controls are as good as they’re going to get for a touchscreen. Rarely does it feel like it’s the touch controls’ fault for my failures. At least there’s controller support if you want to play that way. Rayman does show a lot of signs of good design, though. The branching paths offer different options to play through the game. Getting abilities later in the game comes in play when you can go back to earlier levels to find secrets that were once inaccessible. The temporary abilities in some levels are fun to play with. And the later permanent abilities, especially the helicopter hair you unlock, give the game a different feel from other platformers. Part of what makes Rayman so memorable is that it had such a standout set of features for the time. It just didn’t quite stick the landing of being a fun experience, even among difficult 2D platformers. The one thing that’s frustrating with Rayman is that when it goes right, it feels like a potential all-time platformer. But instead, it skews way too far to the frustrating and unfair side of the scale. And there are design elements that even challenging neo-retro platformers skew away from. I know this is a port of an existing version of the game, but I think this game could use a more comprehensive remake. I know other attempts at 2D Rayman games exist, but the potential of this game in particular would be immense if it got a tune-up for what gamers should expect from platformers in 2016 instead of 1994. 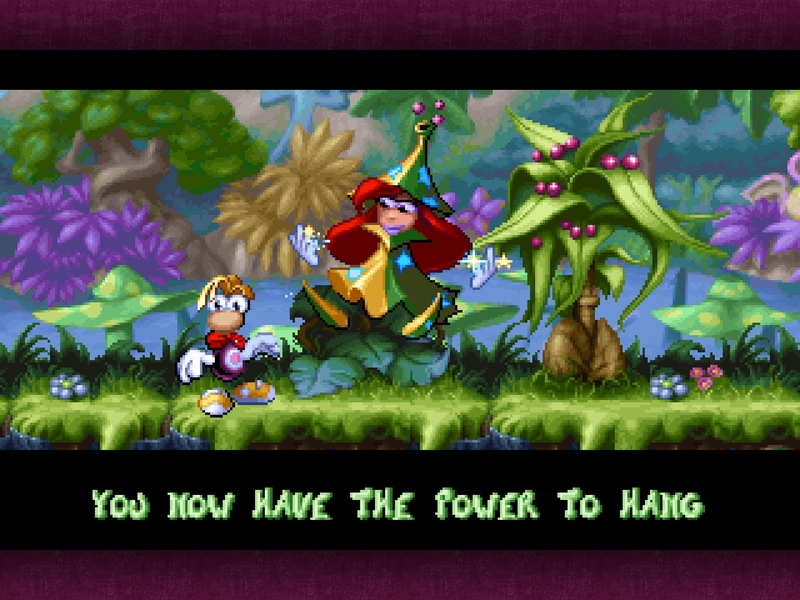 Though, what you get here is a history lesson, Rayman represented as it once was. But that’s the problem with Rayman Classic: there are other, actually good Rayman games now. The auto-runners on mobile like Rayman Fiesta Run ($2.99) are fantastic games. Sadly, Rayman 2 kind of disappeared from the App Store, and I’d love for a new version to pop up, as it’s kind of a bummer that it’s not available any more (though it might be a rights mess as Gameloft published the iOS port), though DRM-free versions are available on PC, so they’re hardly lost. I don’t know why the world needed more Rayman, but we got it, and some fun games came out of it. And maybe it’s tempting to see where this all started. But unless you’re curious to study this relic more than you intend to enjoy it, I’d say to pass. But if you enjoyed Rayman back in the day, this is a solid port of the game that you can take anywhere. 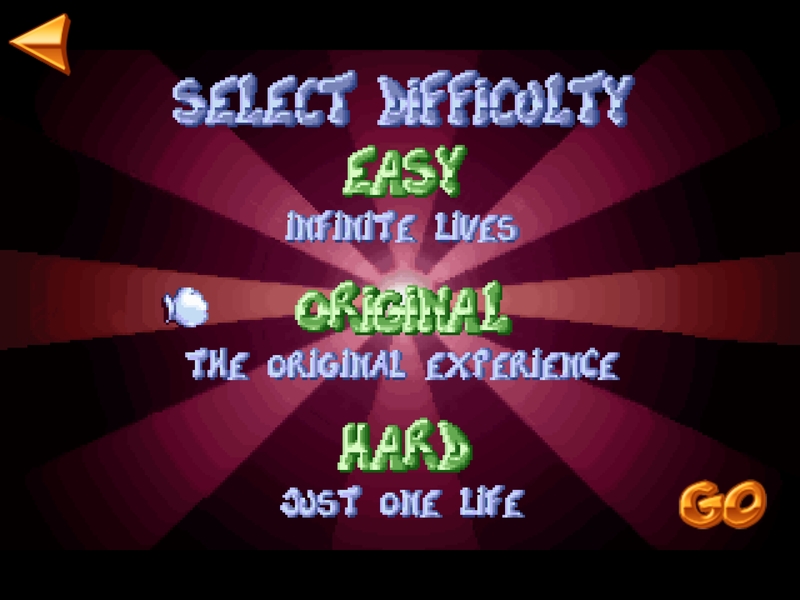 And if your reflexes aren’t what they once were 22 years ago, well, you’ll praise the Easy mode as you rediscover just how brutal Rayman was.